Single story home with 4 bedrooms, den/office or formal dining room and family room. Home has been freshly painted inside and out, new vinyl plank flooring has been installed throughout the home and new upgraded stainless steel appliances installed. New quartz counter tops have also been installed in the kitchen. As you enter the home you find to the left a den, office or formal dining room, continue through living room to the family room which is open to the kitchen with island breakfast bar, eating area and fireplace. sliding glass door opens to the concrete patio and large open rear yard. down the hallway you will find double doors to the Master bedroom and master bath with walk-in closet, dual vanity sinks, oversized tub and separate shower. Returning to the hallway you will find 3 more bedrooms, guest bath, laundry area and access to the attached 2 car garage. 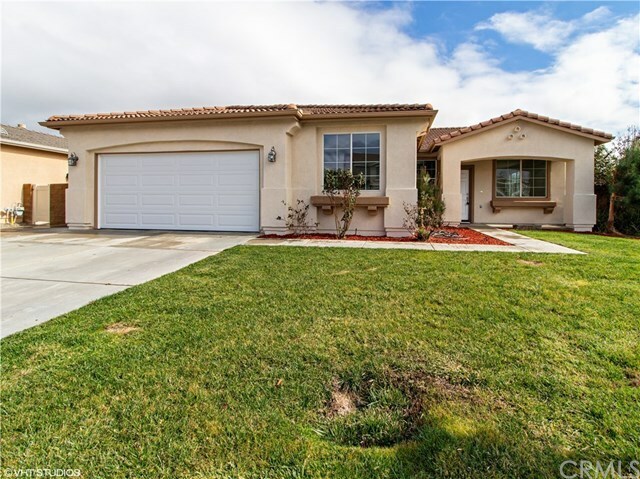 Home is centrally located near new schools and new shopping areas in Menifee. This home is a must see, call for your personal showing. Directions: Newport Rd/Bradley/Canberra/SonoraSt/Stone Creek Ct.